University. Photograph © Estate of James Karales. As previously discussed in this blog, the American South has consistently provided Hollywood with dramatic material since the dawn of film. For much of that history, movies have romanticized the Old South and often portrayed slavery as a benevolent institution. Last year’s Best Picture winner, 12 Years a Slave, helped to right that ship by showing the brutality of slavery in all its forms. Hollywood has also tried to “do” civil rights films before, though not very successfully. Films like Mississippi Burning (1988) or The Long Walk Home (1990) presented a civil rights story where the heroes were white men and women. 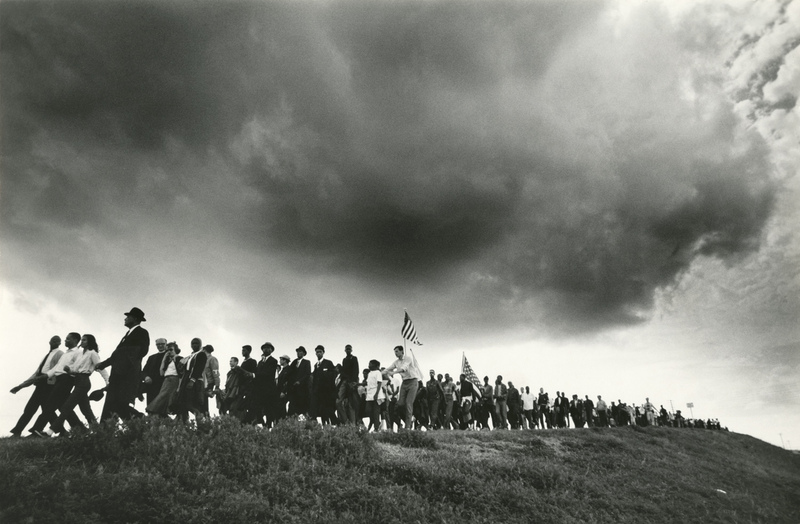 This is not the case with Selma where DuVernay has focused her lens not only on well-known black heroes like Martin Luther King, Jr., but on the real heroes of the movement–local people whose grassroots organizing and willingness to march and subject themselves to violence resulted in changes to our nation’s laws. As with any film that seeks to dramatize historical events, it’s always a good idea to read a good book to help you gain perspective. For that, I recommend David J. Garrow’s Protest at Selma: Martin Luther King, Jr., and the Voting Rights Act of 1965. Then see the film for yourself and decide. 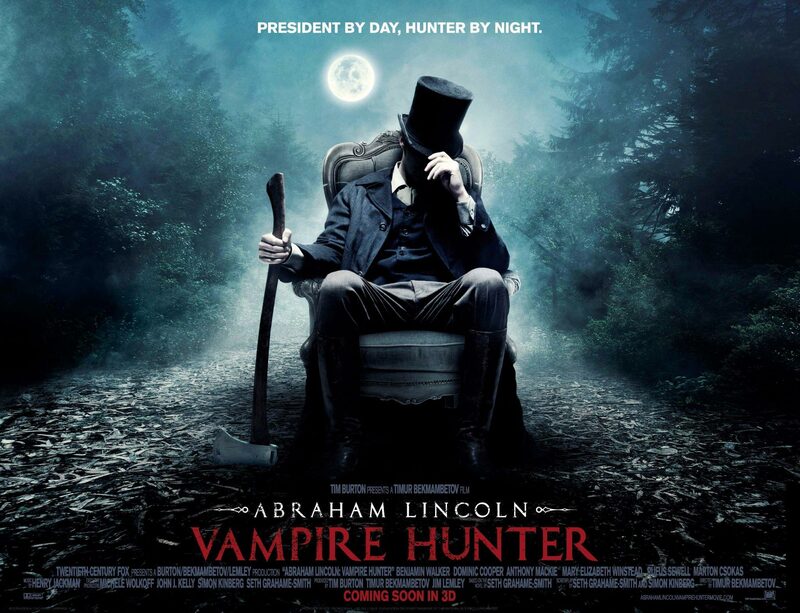 Just one of the weird ways that Hollywood engages history. Followers of Pop South who have an interest in history and popular culture should definitely check it out. 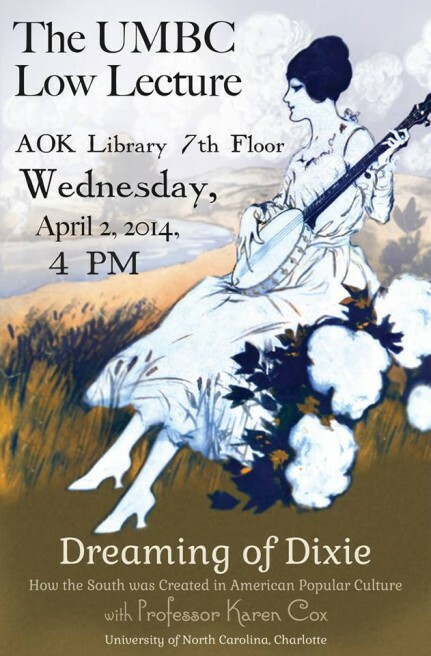 I am speaking about the early years of the South in pop culture. Next week I’ll be giving the annual Low Lecture, co-sponsored by the Department of History, at the University of Maryland Baltimore County. The good people there made this nice poster to accompany the talk. It seems fitting that after posting a blog about pop culture’s southern gentleman that I should talk about his counterpart, the southern belle. What follows is an edited version of an early blog I wrote for another site. “Belle” was originally applied to white women of the southern planter class and a woman who was classified as such was as much a creation of antebellum sentimental literature as she was real. During the nineteenth century, authors North and South placed her at the center of the plantation legend and idealized her as one who was as delicate as she was strong, and as feminine as she was a dominant figure of the plantation. Novelists and playwrights of the twentieth century, too, have made the southern belle central characters in their narratives. 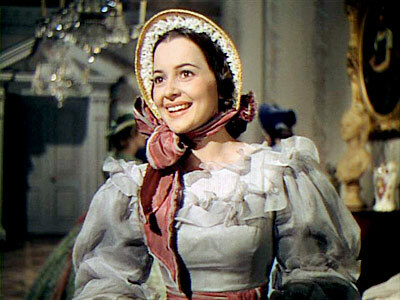 The most famous of these was Scarlett O’Hara, the protagonist in Margaret Mitchell’s 1936 epic Gone with the Wind. Scarlett, however, was more modern than her predecessors, which is one of the reasons women around the world found her appealing. Debutantes in Charlotte, NC, 1951. Mid-twentieth-century southern debutantes also donned the title of “belle.” No longer plantation mistresses, these belles were still members of the South’s white social elite. 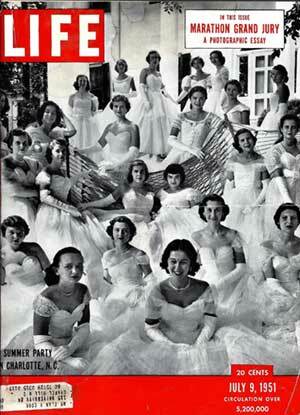 For its July 9, 1951 issue, Life magazine featured Charlotte, North Carolina, debutantes with the caption that they looked “as gracious as any ante-bellum belles,” a clear reference to their Old South antecedents. Being a debutante or a pageant queen has often qualified southern women as belles, and no fewer than a dozen southern contestants were crowned Miss America between the 1950 and 1980, which in its own way helped to perpetuate the image of southern women as belles. Then, in the 1980s, debutante and pageant queen came together in Delta Burke’s portrayal of Suzanne Sugarbaker on television’s Designing Women. Over the last several years the term has been partially stripped of its “whites only” racial affiliation, illustrating how the term has evolved. Some years ago, I was having a conversation with someone who referred to the students at Bennett College (a private, historically black liberal arts college for women in Greensboro, North Carolina) as “belles.” Their student handbook is known as the “Bennett Belle Book,” their email is “Bellesmail,” and campus updates come in the form of “Belle Alerts.” Admittedly, it was the first time I had heard the term applied to black women, but it made sense given the socially elite dimensions of the term. It certainly applied to the fictional character Whitley Gilbert, an African American southern belle played by Jasmine Guy on the show A Different World (1987-1993) in a sitcom based on the fictional Hillman College. The tradition of the black southern belle continues with the most recent addition to the cast of The Real Housewives of Atlanta, attorney Phaedra Parks. She, too, is a self-proclaimed southern belle. On the one hand she is modern in her approach to “belledom,” and yet she has more traditional belle credentials, such as her participation in beauty pageants and her membership in Atlanta’s Junior League. 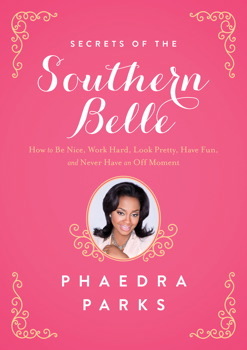 Real Housewife of Atlanta Phaedra claims the title of southern belle, too. 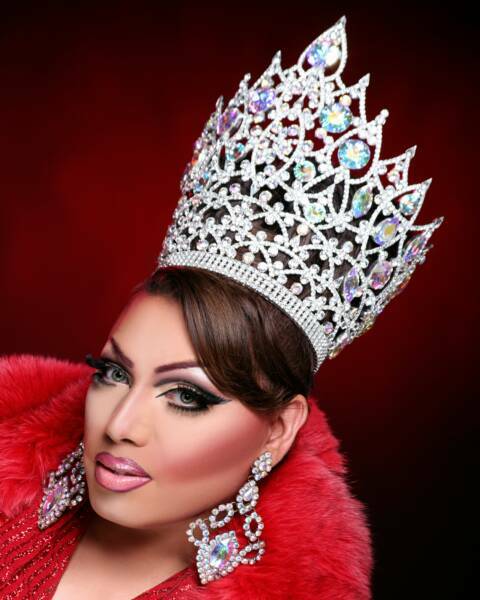 Layla LaRue, drag performer from Texas. Some folks might be surprised that men, too, can be belles. Throughout the South they exist in the form of female impersonators. In fact, there are numerous regional pageants whose competitions are just as fierce as those held for women. I served as a guest judge for at least two such pageants in Hattiesburg, Mississippi, including one for “Miss Dixie,” and can vouch for the seriousness of the contestants to offer their best impression of the southern belle. The one feature of the southern belle that seems to have remained consistent over time—regardless of race, class, or gender—is that it is largely a social performance. Given that, the belle clearly tolls for anyone who’s interested in the part. While the 1930s was known for movies set in the Old South, the first motion picture set in the region to receive an Oscar nomination was “I Am a Fugitive from a Chain Gang,” (1932) in which a wrongly-convicted James Allen (played by Paul Muni) serves time on a southern chain gang. The next southern-based film to get an Oscar nomination was “Jezebel” (1938), starring Bette Davis who won the Oscar for Best Actress. 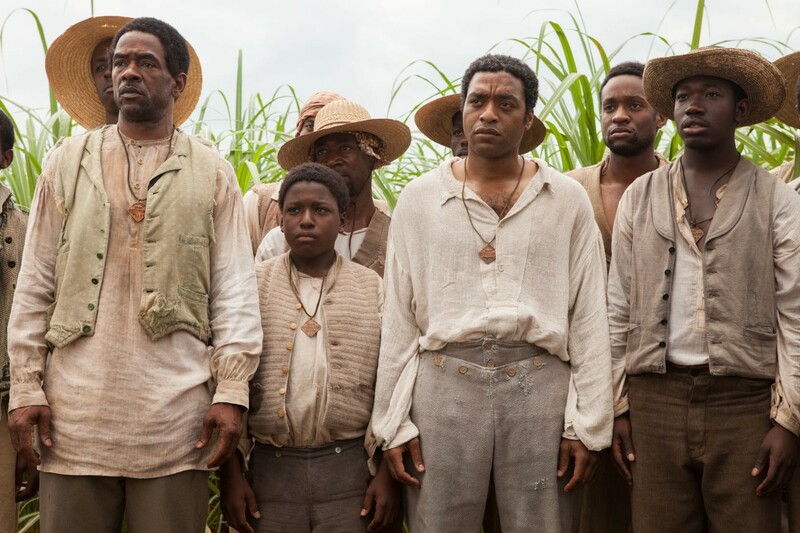 Set in Louisiana, it is one of the better films in the genre of the plantation legend, because of its stars, but it still employs African Americans in stereotypical roles. 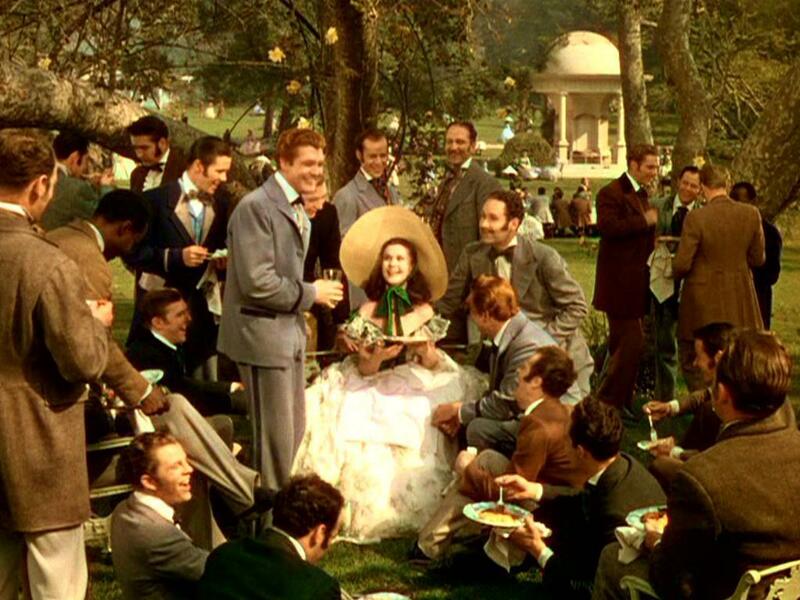 One year later, in 1939, “Gone with the Wind” (GWTW) surpassed all previous films of its kind and not only won Oscar for Best Picture, it was truly one of the first films to become a blockbuster, and its representation of the South shaped popular perceptions of the region for decades to come.